The full-size luxury SUV's petrol and diesel trims both get standard rear seat entertainment package, along with 20-inch 10-spoke light alloys and more. 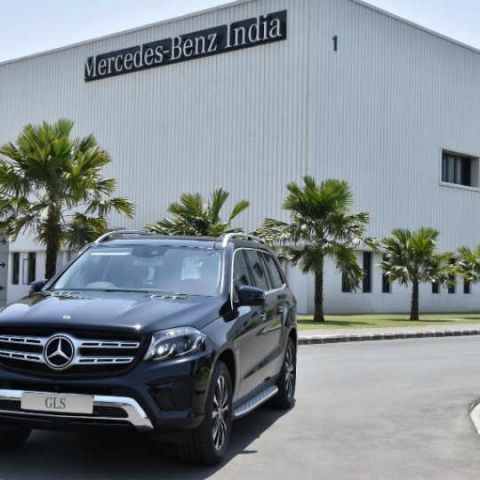 Mercedes-Benz has launched the GLS Grand Edition SUVs in India. The full-size luxury SUVs are now available in their GLS 350d and GLS 400 Grand Edition trims, both of which are priced at Rs. 86.9 lac. The Mercedes-Benz GLS lineup, based on the flagship S-class sedans, sit at the top of the company's SUV lineup in India. Speaking upon the launch, Dr. Roland Folger, MD-CEO of Mercedes-Benz India, said, "Indians have a penchant for SUVs and this has pushed India to emerge as the Top 6 markets globally for the GLS, reiterating the vehicles unmatched popularity. We are extremely confident that the ‘GLS Grand Edition’ will continue to remain at the top of customer preference creating new benchmark." The Mercedes-Benz GLS Grand Edition SUVs include intelligent LED lighting system with black rings, auto-adaptive active headlamps, 20-inch, 10-spoke alloys, and Grand Edition badging on the exterior. Inside, the SUV opens up to a maximum of 2,300 litres of boot space, and offers seven-seating configuration. It also gets a heated steering wheel wrapped in nappa leather, paddle shifters, and a redesigned instrument panel with full-colour MID. Rear-seat entertainment package comes standard in the Grand Edition, with two 7-inch displays mounted for middle-row passengers, and the COMAND infotainment system remaining constant. It, though, adds Apple CarPlay and Android Auto as standard in these trims. As for power, the Mercedes-Benz GLS 350d is powered by a 3-litre V6 that produces 258bhp and 620Nm torque, while the GLS 400 is powered by a 3-litre V6 petrol engine that produces 333bhp and 480Nm torque. Both the cars are paired with 9-speed automatic transmissions, along with 4MATIC permanent all-wheel drive and adaptive air suspension. It also gets a new telematics package onboard, along with active parking assistance and a 360-degree camera.